In the wake of steadily increasing violence in our city, an event has been created at the request of a recent shooting victim’s family. 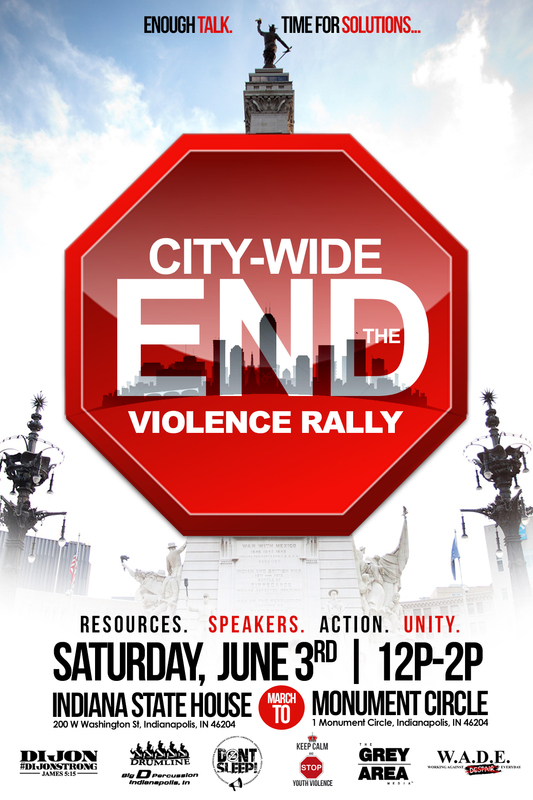 We will gather at the Indiana State House and march in unity to the Monument Circle for a rally to denounce the violence, commit to peace and support solutions. ← The Wake Tickets On Sale!